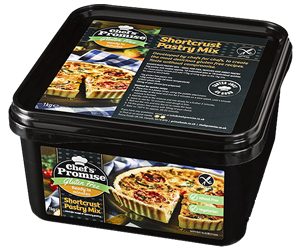 Perfect for quiches or pies alike. 1KG of mix makes approx. 12 individual pies or 18 individual quiches.